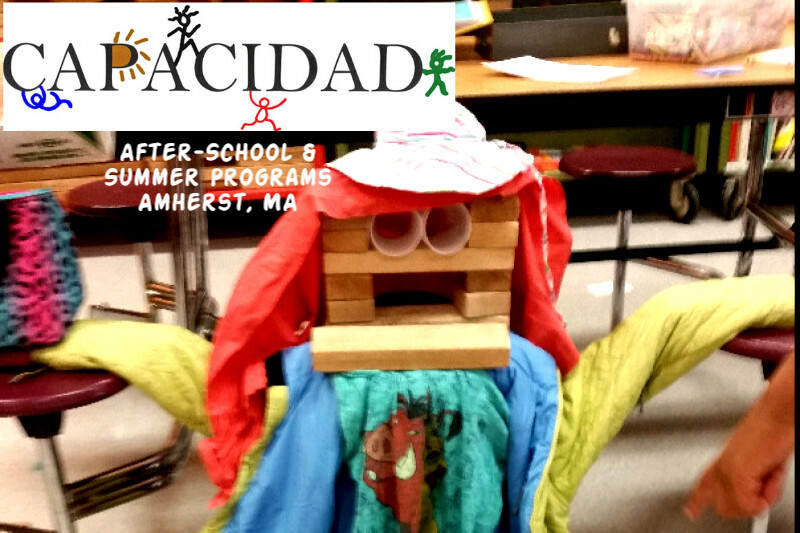 Capacidad has worked with elementary-aged children in the Amherst, MA area since 1980. Our interest is in creating a comfortable space where people are encouraged to address issues surrounding difference and social justice. We strive to plant the seeds of good critical thinking and conflict resolution skills in natural, kid friendly settings. We have discussion times and activity choice times. We build, paint, dance, swim, hike, run, experiment, make videos, etc. all while addressing social issues that arise during the program and in current events. Our goal is to raise funds to continue to subsidize low-income families at the level of 60%. Donated funds will help us provide adequate staff including special needs staff, snacks, field trips, and materials for our students. $2400 provides After-school for a child for the year. $2200 provides all day care for 8 weeks in the summer. I hear it takes a village. Thanks for joining our village!